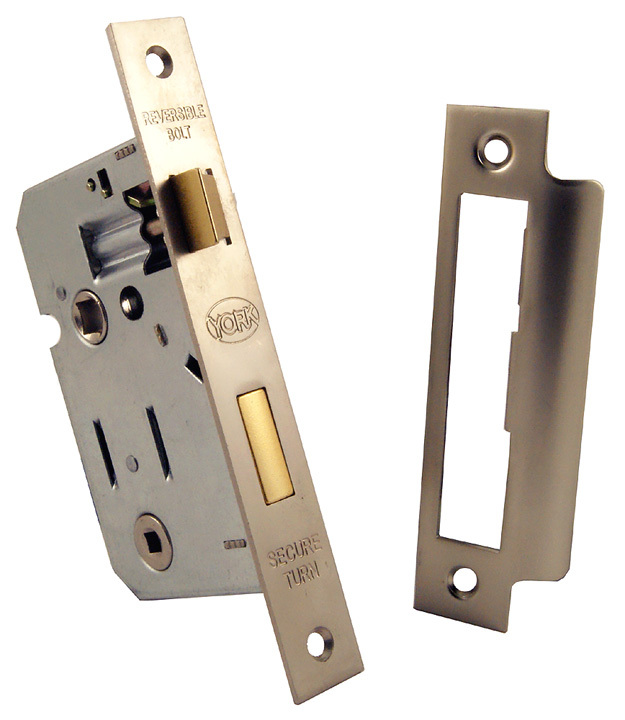 Lock with a spring bolt operated by handles on either side and a dead bolt operated by a turn button on the inside and an emergency release slot on the outside. 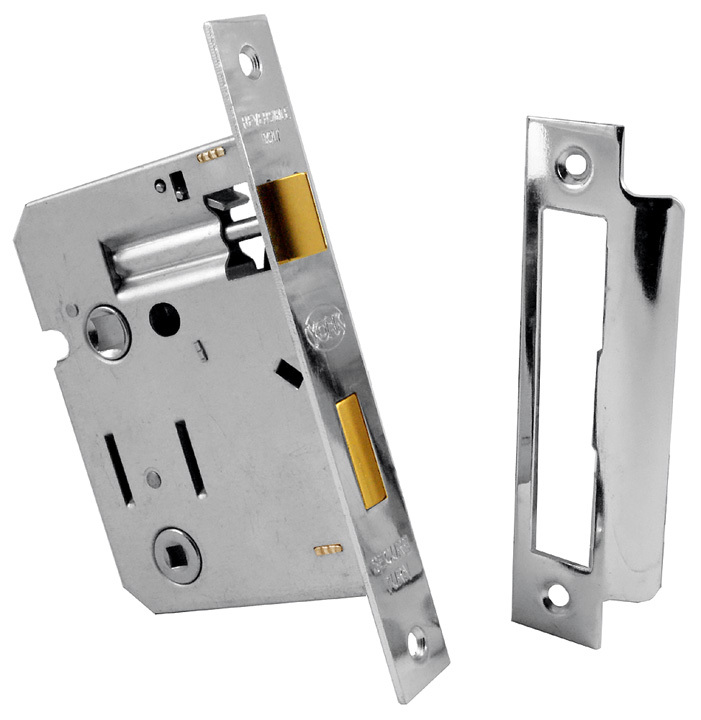 The locks are available in different sizes to match those fitted throughout the property. Images below show a 2.5in and a 3in bathroom mortice lock in different finishes.